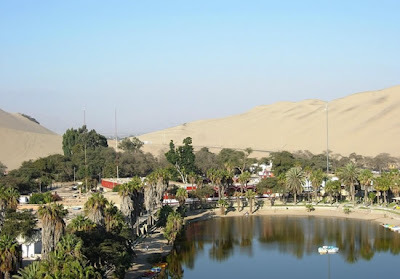 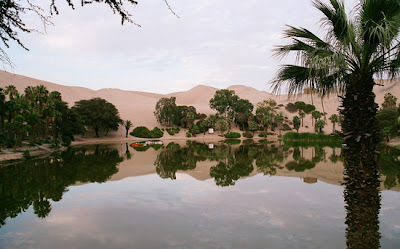 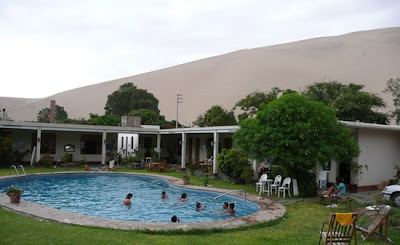 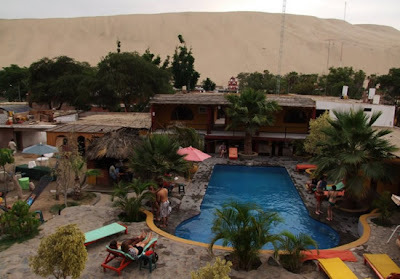 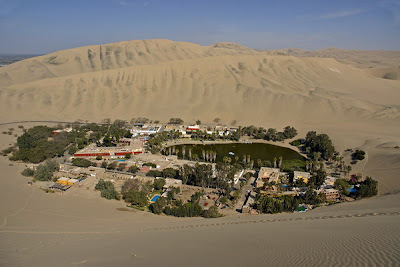 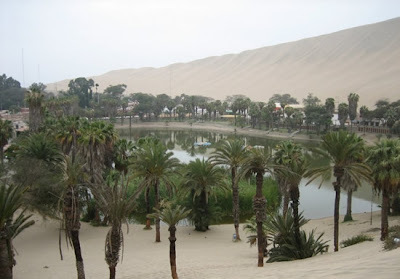 Shimmering beneath the scorching sun of the Peruvian desert is an extraordinary sight - a tiny settlement, complete with lagoon, lush palm groves, carob trees, cafes, neatly clipped lawns, 100-strong population and even the odd swimming pool. 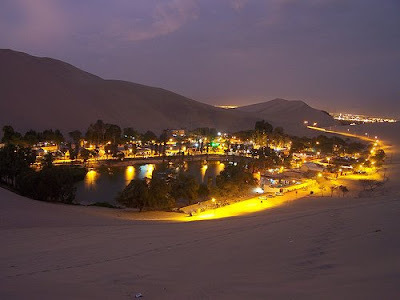 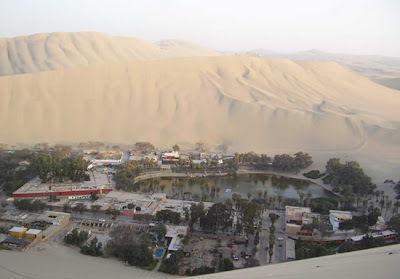 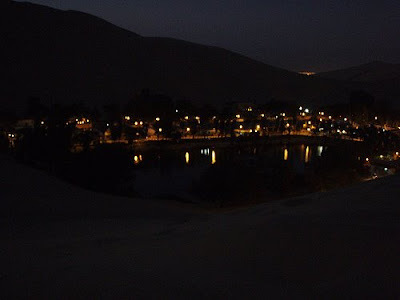 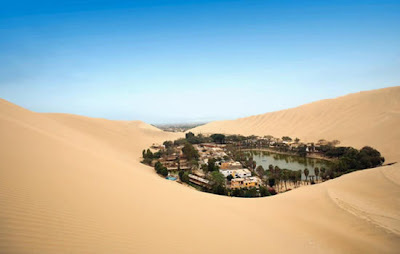 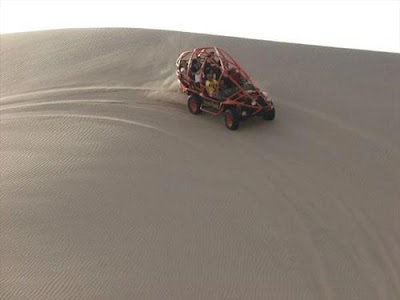 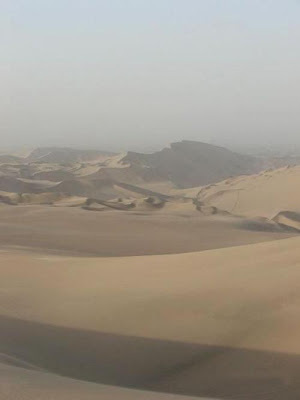 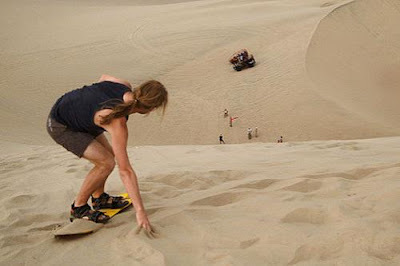 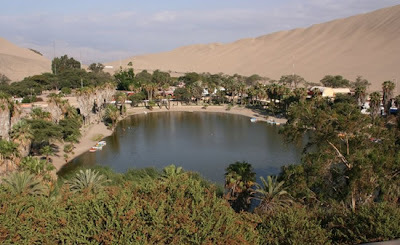 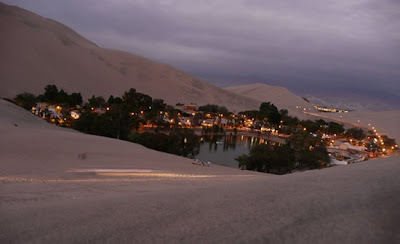 For thousands of years, Huacachina, otherwise known as the 'oasis of Americas' - there is only one - has been a beacon of green, hidden deep amid hundreds of miles of barren desert. 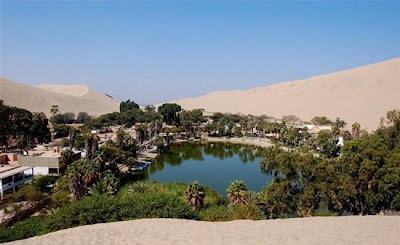 Over the centuries, its glimmering waters have saved the lives of hundreds of sun-addled travellers, staggering in from the heat with their mules. 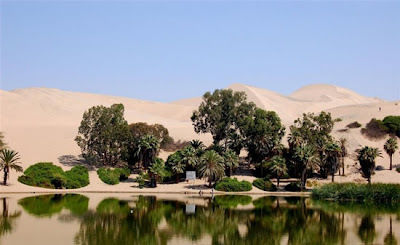 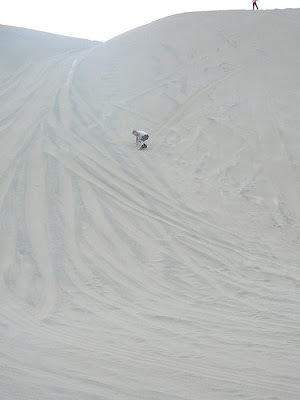 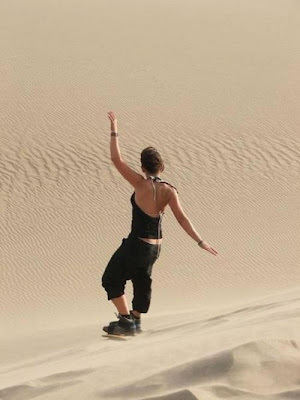 More recently, however, visitors have been flying in from all over the world to relax in the shade of the palm trees, sandboard on the dunes and, most importantly, take the waters. 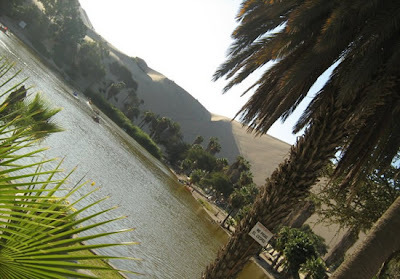 Because this tiny handkerchief of green is the Lourdes of Peru. 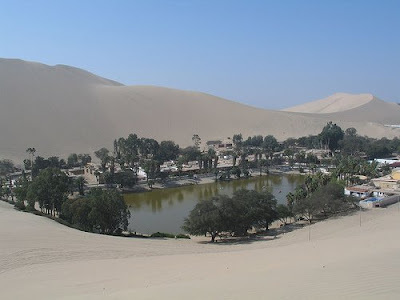 Its gleaming waters - which spring from a river source deep underground - reportedly contain medicinal properties, particularly effective for the cure of skin and rheumatic illnesses. 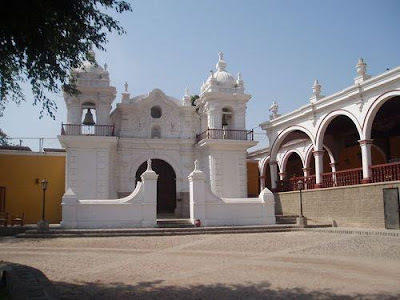 Today, however, the tiny community in the south of the country is under threat. 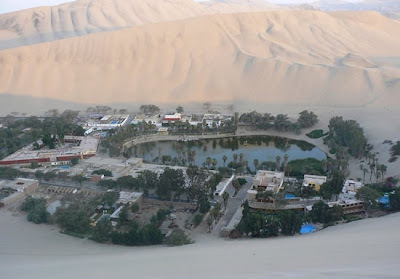 The oasis is running low because, with global warming causing ever-worsening water shortages, the nearby city of Ica (population 200,000) is plundering its underground river for drinking water. 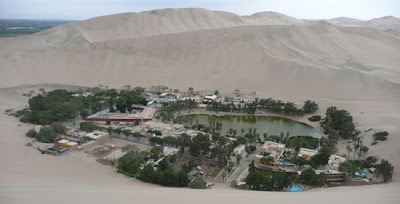 When water levels recently reached a record five metres below average, local authorities declared a state of emergency.